Traum welcomes British artist Mark Reeve. Based in Germany since the age of 17 and a true Omen club child as he puts it in his own words, Mark has always been a huge believer of emotional techno with as little stunts as possible.Mark had his break through this year with his release on Cocoon Daybreak on Mars which was a a personal favourite of Sven Väth and returns here with the equally enthralling peak time mover Moving Horizons.Moving Horizons is by all means a real powerhorse. It is a perfect extension of Detroit concepts mixed with today's aspects of modernism. The track is a chord driven haunting anthem, with a strong build up, a track that never lets you down.His recognizable colourful and bassy down pitched vocals, read aloud against a backdrop of beautifully lush, warm and sensuous chords that add a fine Balearic note to the track. Once these chords get going you know this track as a great pleaser, a track that demands a collective spirit and something rare.Pig & Dan, Hermanez as well as Arnaud Le Texier for whom the track was appealing from the start, have remixed the track in a fashion that suits the original very much. Pig & Dan have accentuated the Detroit feel taking the track even more towards a big fun sounding Saunderson production that will put a big smile on peoples faces, whereas Hermanez works in a more fashionable percussion way keeping the beat very lively and driving.Cold Places follows the footsteps of Moving Horizons but installs more of a sensitiveness alongside its beautiful organ sounding chords. 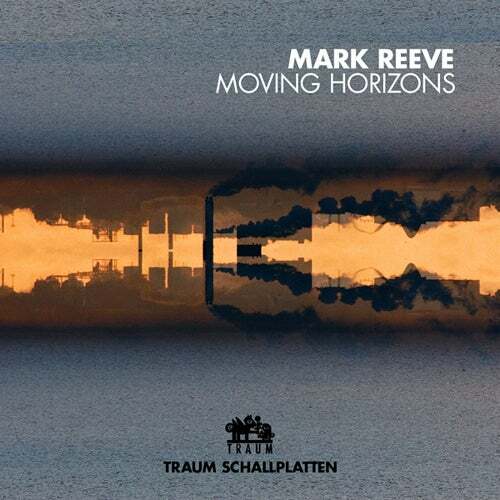 Closed Doors is an even deeper track that could go on heavy rotation with late night German TV show H3 Spacenight, somehow classic with a strong evergreen touch.To round up the four original tracks by Mark Reeve we should mention his last original track Curl. This track works more in a dub like spirit, unfurls occasionally into a see of sounds..all very gentle and cool. The releases finishes with a electronic interpretation of French producer Arnaud Le Texier who transforms Moving Horizons into a post Detroit abstract bleep consortium, all stylish and upright in its movements. We can imagine Jeff Mills playing this. Tahloula, Chris Lattner, NiCe7, M.A.N.D.Y.